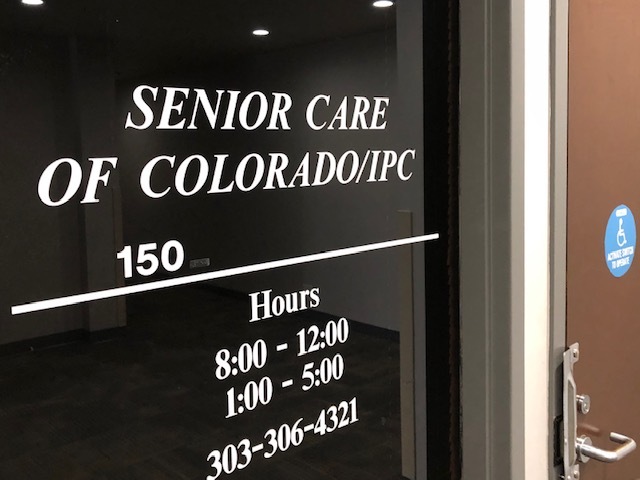 DENVER -- Patients are scrambling after learning about the impending closure of two Senior Care of Colorado clinics in metro Denver. "This is terrible," said Darlene Alber. The 76-year-old Lakewood resident said she called her doctor's office on April 3 to get a referral, and was told that the doctors and staff had been given three weeks notice, and that both clinics, one near Porter Adventist Hospital in Denver, and one near the Medical Center of Aurora South, will be closing in a few weeks. "I've been with these people for ten years," she said. "I followed my doctor from Porter to Aurora. It's a long drive for me." In an emailed statement to Contact7, Senior Care of Colorado's parent company, TeamHealth, said, "Healthcare has changed significantly over the past few years forcing us to make the difficult decision to close our doors. As we near the closure dates we are actively engaged with groups interested in acquiring the practices or its assets." If the acquisition does not happen, the company said the closure will occur in phases. The Aurora office will stop seeing patients on April 24. The Porter office will close May 24. TeamHealth said staff is actively helping patients find alternate care. Staff members are researching groups that are accepting new patients and will provide contact information to patients. "To ensure continuity of care, patient records will be transitioned seamlessly to new providers once the patient completes the Medical Records Request form," the company said in a statement. For Alber, that's not good enough. "These are seniors we're talking about," she said. "We're not 30-year-olds. We don't like change. We don't like the rug being pulled out from under us." Alber said she'd like to see investors buy the practices and keep them open. Contact7 asked TeamHealth how may patients will be affected by the closure of the two metro Denver clinics, and whether the company is closing clinics under other names, in other states. We have not yet received a reply to those questions. Alber said if that's the case, there could be thousands of patients impacted. "That's a lot of people that have to go in search of a total stranger," she said. "Another doctor."